We are all shocked at the devastation that residents and farming communities of our North Queensland neighbours have had to endure in the recent flooding events this February 2019. To try and assist the best we can P.I.P(Aust) has donated and urgently sent a pallet load of work gloves up to Townsville late last week to help with the flood clean up efforts. Our regional distributor Hip Pocket Workwear and Safety has informed us that the Townsville S.E.S has been one of the grateful recipients of these high quality safety gloves. Special thanks go to our business partners: Sadleirs Logistics for their warehouse support in picking and sending;Toll Group for transporting. Protective Industrial Products (Australia) Pty Ltd.
Do you run a company and look for a PPE (personal protective equipment) supplier? Are you specifically interested in hand protection? If you’re looking for a National Designer who supplies to Trade Distributors all you need is to get in touch with PIP Aus, which is one of the best gloves suppliers in Australia with long lasting history and experience. But, do you know which gloves your employees need based on the work they do, the potential hazards they may face, and the protection they need? No worries, in this article, we’ll explain everything you need to know. In general, many jobs like metalworking, landscaping, gardening, or any other job that involves tools, need gloves that are resistant to punctures. Cut resistant gloves can help you lower the risk of getting cuts while doing work tasks, but, remember, they won’t help you protect from all types of injuries. So, search for gloves made of a material that provides the right padding and thickness. For example, leather gloves can reduce the chance of getting splinters. Or, consider something more complex such as padded fingers, knuckle guards, or reinforced palms. Wearing gloves that are resistant to impact is very important and necessary when doing some heavy work like woodworking or construction, or when handling power tools. Gloves that provide protection from bruising and blistering usually offer extra palm and knuckle padding. So, in case of a heavy blow or power tool vibration, the padding will take up the shock and protect hands from bruising, chafing, and blistering. Many job descriptions require employees to handle water, oil, chemicals, or other liquids in completing work tasks, for instance, plumbing, painting, auto work, etc. which can often damage skin. For that reason, high protection gloves are a must. However, even though the gloves have to be watertight they still have to allow free and easy movement. For a complete resistance, you should search for rubber-coated gloves or other waterproof material. Yet, if you do not need maximum resistance, you can find some gloves made of materials that simply shed water. Or, if you want to protect your construction workers from mortar, concrete, or tar, you can get gloves coated in special rubber. Certain jobs like metalwork and welding include heat, whereas some jobs like snow shoveling or simply outdoor work in bad weather require temperature protection gloves. For heat protection, you should look for gloves that are first and foremost made of fire-resistant durable material and that prevent injuries from sparks. And in order to prevent gloves ignition, heat-resistant gloves also feature a flame retardant. On the other hand, cold-resistant gloves are coated in special materials that keep heat inside the gloves and provide insulation. Last but not least, certain tasks involve working around electric currents or near live wires. In order to reduce the risk of flash burns or electric shocks, you should look for gloves with Flame Retardant, Arc Flash capabilities and / or High Voltage Insulation properties. Specialist selection advice and information on the new Eureka Maintenance Electrician work gloves is available from pipaus.com. “Finally, gloves that fit like they should”. For decades workers have persevered with wearing gloves that simply don’t fit properly. The multitude of these ill-fitting gloves contribute to poor tactile grip, lack of fingertip control and the sensitivity required to conduct fine detail or task specific work. Our unique design specification was for a new range of safety gloves that would fit and act as ‘protective skin’, allowing the wearer to conduct any manual handling task without removing them. Thankfully for everyone that wears gloves at work, this has been achieved with the GuardTek glove range featuring our patented Skin Contouring Technology. P.I.P (Aust) Invested over 4 years in R & D to develop the perfect blend of materials that stretch and conform to the shape of the wearers hand. Each of us are individuals and as such, we don’t have the same shaped hands or finger width / lengths as each other. Therefore, the challenge was to provide gloves that fit each wearer as exact anatomical duplicates of each individuals precise hand and finger shape. The GuardTek concept utilises the finest quality materials and advanced manufacturing techniques for both the liner and Nitrile dip coating. The flexibility of this special liner and coating combination creates the perfect formula for multi directional stretch providing our unique ‘Protective Skin’ which shapes to the individual wearers hand. Many other glove manufacturers have tried to copy the GuardTek two way stretch liner. These cheaper alternatives fail because the coating over the top of their liner does not allow for 2-way movement. Without the unique blending of Specialised Liner and GuardTek Coating you simply will not get the dexterity for various widths and lengths of fingers. All GuardTek gloves by nature of design, are meant to have a somewhat ‘compression fit’ feeling on first donning. Once fitted, natural body temperature and finger movement starts to shape the glove to mimic each individuals skin surface layer. This initial hand contouring process of the glove usually takes a few minutes. Once the glove has formed to your hands shape it will have a more relaxed fit and feel, almost like you don’t have a glove on at all (this is the Protective Skin design concept: Maximum Sensitivity and Dexterity with no Restriction of Movement). GuardTek Skin Contouring Technology is available in the SuperSkin range of gloves which are available in the 34-323 open back of hand style; the 34-324HC coated to over the knuckle bar; the 34-326HVO High Visibility for Day / Night work, 34-424Oil a special Liquid resistant coating with unique thin double layer coating. Our GuardTek Cut Resistant range provides the same class leading fit and feel as above with increased Cut and Mechanical Puncture protection. We are proud to have been the innovators in superfine high Cut Resistant filament liners that stretch and shape to the hand. Combined with our GuardTek Skin Contouring Technology coating we have the perfect fitting glove for those requiring next level CR protection. 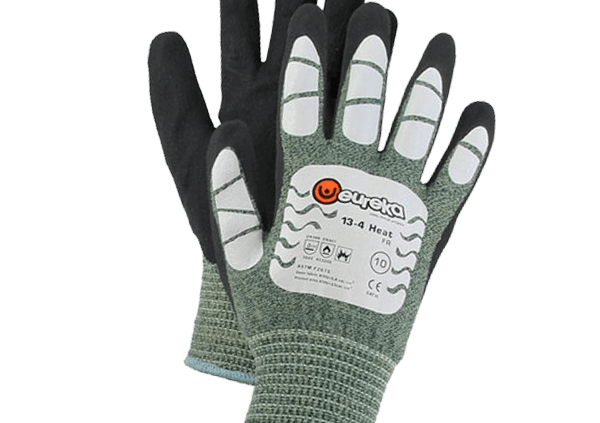 GuardTek Cut 3 glove is for mid-level CR and the GuardTek Cut 5 for those tasks where the highest-level CR is the requirement. Choosing the right work gloves isn’t as simple as it may sound because you should consider many things when doing your research. Different work tasks require different types of gloves. So, it is of high importance that employers and employees understand the potential hazards of not having the adequate personal protective equipment required for the job. Luckily, if you are located in Australia and looking for a glove supplier, all you need to do is contact PIP Aus. This company will make sure you get the right work gloves. First, you need to determine what exactly you will be using the gloves for so that you choose the right glove performance. Do you need gloves to provide a firm grip on tools, comfort, or protection from a potential hazard or injury? It might even be all of the above in most cases. Then, think about the types of injuries that may occur. For example, there might be a risk of lacerations, pinch injuries, crush injuries, burns, impact damage, repetitive motion strain, etc. Wearing the right gloves can definitely help you prevent injuries. There are many gloves manufacturers and suppliers that will try to convince you to buy their multi-purpose gloves. However, such gloves may not provide 100% protection from hazards and injuries. Therefore, you need to find a reputable glove supplier and one you can trust, like PIP Aus, that offers different gloves for different purposes, in order to get the right gloves for the job at hand. Many glove manufacturers offer a great variety of materials in order to fit the needs of the job position. Why? – Because if you wear gloves made from the right material, it means that your gloves will be long lasting and will better serve the purpose. Additionally, the GuardTek glove range is a unique Skin Contouring Technology design which provides previously unavailable perfect hand fit for every individual hand size. The stretching and moulding capabilities of the special blended materials shape to the wearers hand just like a protective skin providing ultimate comfit, dexterity and control at work. So, when considering the best material for you, the GuardTek range should be considered. Even though you may have gloves made specifically to fit the needs of your job requirements, they may not do the work if they are either too big or too small. Hence, you should find the correct fit. Preferably, you and your employees should have the opportunity to try on several glove sizes before deciding. Choose the ones that feel natural without much extra space between fingers and around the palm and wrist. Follow these steps when trying to find the right work gloves for your company and employees. Or, simply get in touch with PIP Aus and ensure that you get the right work gloves and personal protective equipment.